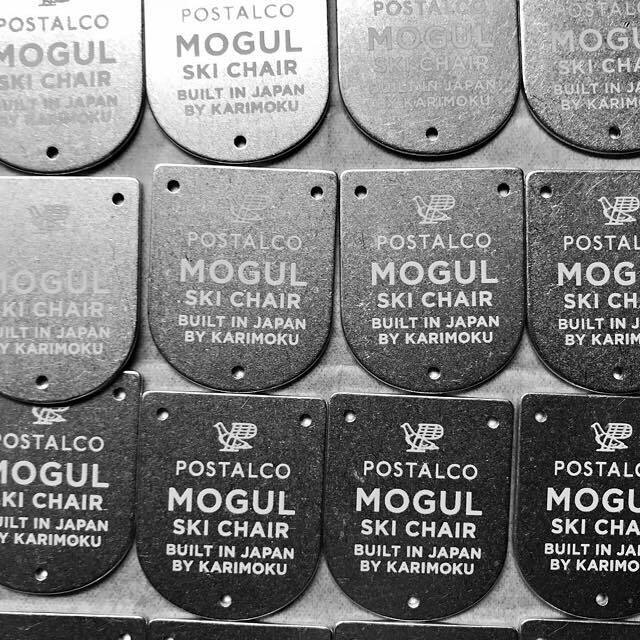 Mogul Ski Chair logo plates. The Mogul Ski Chair available only by advance order at Postalco Shops. Until Dec 25, 2018.